A broken community’s only hope. Promising young detective Robert “Bo” Campbell is in a stack of trouble. After accidentally shooting and killing his best friend and partner during a bungled inner city drug raid, he faces the sack or, even worse, jail. 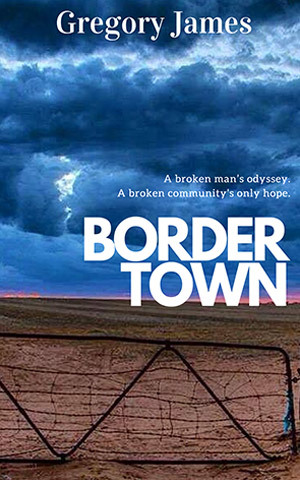 With his career and freedom hanging by a thread, he’s outcast to a remote posting on the border – a place where he can kick back until all his troubles blow over. But something isn’t quite right in this frontier country. Half a dozen missing indigenous women, secret meetings and a police force bursting with corruption and racism has Bo questioning his own moral character. When he’s asked to cover up yet another murder on his very first day, he suspects he’s been set up to fail. But by whom? What happens will see Bo battling for his own survival. Is he prepared to risk everything to save a community that’s already broken? And a journey that will keep you on the edge of your seat.